No siesta! means No siesta! we will be discussing all things photography! When you go back home you will be more focused with tons of fresh ideas to nail your next wedding. we talk, we shoot, we edit, we appraise, eat, drink, sleep, repeat! trying new things to get the best out of your couples. the boundaries spontaneously and in more creative ways. and from anything in the immediate environment. Planning the shoot, working with their unique personalities and the setting. Researching inspiration from all different art resources. How to create a short killer video for Instagram of the shooting. This can be done with you SRL or your smartphone. Brides love these! Meet and greet in our Barca HQ, ‘Cellarer wine bar’ in the neighbourhood of Gracia. A cosy jazz bar that will be open exclusively for us during the day, with our base upstairs. An informative slide show and a short talk about our work. Covering all aspects of our techniques, inspiration, business. an amazing mix of old, new, narrow streets, open spaces and street art. The district lies in the city centre but without all the hustle of the Gothic Quarter. The shadows and textures are out of this world. Relax with Tapas and sangria, sharing feedback from the day. Early shoot at the beach! Meet at HQ for Post-production of images. All related with Editing. Limited Spaces // Get in touch now! Secure your place with a £200 (BACS transfer) booking fee or full payment. Payment paid in full 3 weeks before the workshop date, please. Your booking can be transferred to another person, but not refunded. Travel + accommodation is not provided. or already established that are looking for a different perspective and fresh ideas. of your photography in the exquisite and enchanting surroundings of Barcelona. with first exhibitions in New York & London. Won new upcoming artist of the year (2011) at Photographers Gallery, London. Regular talks in universities across the UK and all over Europe. Portfolio reviews and photography art workshops for Photography festivals. 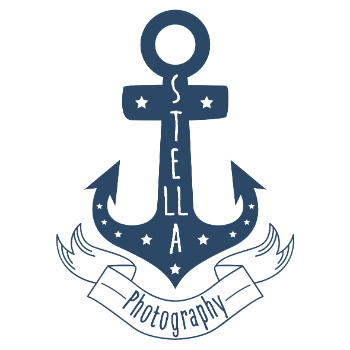 Created Stella Photography in 2009. Shooting more than 400 weddings to date.